Updated November 2, 2016 – Audibel Range hearing aids are advanced wireless Audibel hearing aid devices that are designed to provide users with exceptional sound clarity in a variety of situations. These Audibel hearing aids are designed to be perfect for on-the-go individuals who are active in a wide variety of challenging listening environments. These Audibel hearing aids have a variety of features that help users hear the sounds they want to, ignore sounds they do not, and hear streamed audio from their electronic devices. Audibel hearing aids come in two different performance levels: Audibel Range Platinum, and Audibel Range Gold. 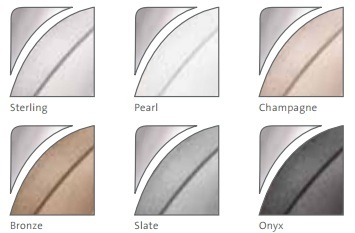 The Range Platinum is designed to provide easy hearing in the most difficult listening situations, where users experience large amounts of background noise. The Range Gold provides comfortable hearing in less difficult listening situations. WhistleFree Feedback Cancellation: This feature is designed to eliminate annoying whistling and buzzing from the user’s hearing aid. This feedback can often occur when talking on the phone, or while making volume adjustments on the hearing aid. With this feedback gone, users enjoy much more pleasant conversations on the phone. Active Noise Control: This feature is designed to deliver enhanced in-noise speech understanding, and reduce the user’s listening effort. Cognitive fatigue that can occur after extended periods in noisy environments is significantly reduced. Music and Television Processing: While watching television or listening to music, the user’s hearing aids automatically adjust to the user’s preset music and television listening settings that are most comfortable for the user. Superior Speech Locator: This helps users hear conversations in noisy environments much easier, by pinpointing important sounds, and minimizing unimportant ones. HydraShield: This protective nanocoating provides a barrier from sweat, oil, wax, and corrosion that could damage the user’s Range hearing aids. This helps extend the useful life of the device. EZ Touch: This allows users to make easy adjustments to the device’s memory or volume settings with just the touch of a finger. There is no messing with tiny dials and buttons with the Range hearing aids. Active Frequency Control: This feature helps users hear a wider, fuller spectrum of sound by replicating hard to hear high frequency sounds in lower frequencies. 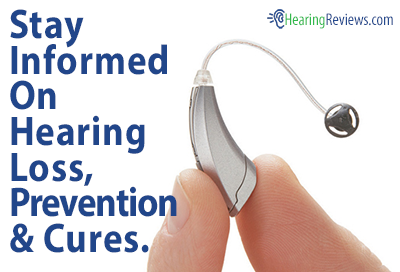 This enhances, and expands, the hearing aid’s audibility. Self Learning: This advanced feature allows the Range hearing aids to gradually learn the user’s volume control preferences over a variety of different listening situations. Eventually, the user should have to make very few manual adjustments to his or her hearing device. Indicators: With automatic vocal and tonal indicators, users are always informed of the status of his or hearing aid and its battery. This can help users avoid running out of batteries at an inconvenient time. Ear-to-Ear Wireless Communication: This feature automatically adjusts both hearing aids’ volume or program by just adjusting one device. It does this by coordinating the wireless communication between the two devices. Automatic Telephone Response: This feature automatically detects when the user is on the telephone, and adjusts the Range hearing aid’s settings to provide the best sound quality possible. The Range hearing aids are also compatible with accessories from Audibel to help deliver enhanced hearing and convenience to users. This device allows users to make hands-free phone calls by turning the Range hearing aids into a wireless headset and microphone. Not only do the hearing devices allow users to hear their conversation in both ears, but they also pick up the user’s voice, and send it to the person they are talking to. This accessory allows users to stream the audio from his or her television, MP3 player, or other device directly to their Range hearing aids, in stereo sound (heard in both ears). This device can be especially convenient for watching television. The Range wearer can watch the television at a volume that they can hear, while his or her family watches at a separate volume that is comfortable for them. This device lets users make quick and easy adjustments to his or her Range hearing aids, with the simple push of a button. Audible’s Range hearing aids are available in a full range of styles, including Completely-In-The-Canal (CIC), In-The-Canal (ITC), In-The-Ear (ITE), Receiver-In-The-Canal (RIC), and RIC Power. 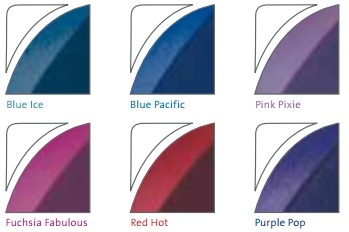 Additionally, the Range RIC devices are available in a variety of colors, allowing users to find the hearing aid that is just right for them. 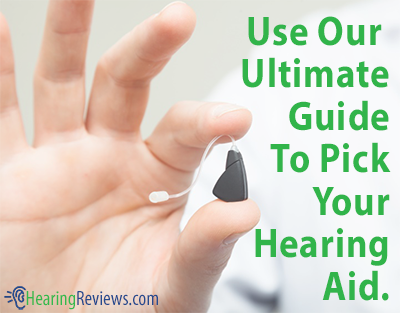 This isn’t the only model we have, see the other Audibel Hearing Aid models.